Jim Stewart Heating & Cooling is a top notch heating and cooling company standing tall in this business for more than 10 years. We offer service in Lamar, Jasper, Carthage, and surrounding areas. 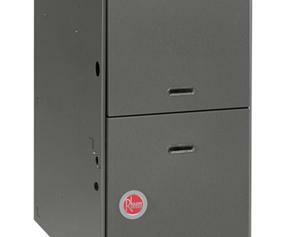 Our goal is to keep you comfortable always with the use of top branded reliable Rheem line of products. We service and repair all makes and models of heating and air conditioning equipment. Our service area covers, Heating, duct work, controls and cooling. With years of experience, our technicians can help you tackle all your heating concerns, makes you more comfortable and your equipment more efficient. All our technicians are skillfully trained with the latest techniques, technology and with an aim to provide you safe, efficient, and friendly service. We will provide you right suggestions to help keeping your HVAC equipment run smoothly throughout the year. If you are looking for a HVAC Company that provides top-notch service, call: (417) 394-3121. Heating: We’ve got years of experience to help you determine how to tackle all of your heating concerns. We work on everything that’s out there. So, rest assured that we have the knowledge to service even the toughest units. Indoor Air Quality Products, Air filtration, UV lights, humidifiers, and ventilation systems are available. Duct work: Proper ducting makes you more comfortable and your equipment more efficient. Controls: Thermostats and Zoning can save you money, and increase your system’s performance. Cooling: Sometimes your Cooling System may not work properly. At such times, it is better to call on us when the damage is low, rather than wait until the damage becomes much worse. If the problem becomes grave it means more hazards and more expensive repair and replacement at times. Carthage’s Leading Heating and Cooling Company: Carthage Heating CoolingWe’ve got a number of different options to help you with all of your air-conditioning needs. Ask any homeowner if they can see themselves running their home without heating and cooling. You’ll get a resounding “NO”! Since, we all know the answer to this question. Then we can conclude having a healthy heating and cooling unit is a necessity. Everyone knows the importance of heating and cooling in the Ozarks. After all, we experience all four seasons here! So, summers are very hot and winters can be extremely cold. This is where Stewart Heating and Cooling comes in. We are a fully accredited, licensed and bonded heating and cooling service company. We are members of the Carthage Chamber of Commerce and accredited by the Better Business Bureau as an A+ member. Simply put, you can depend on us to deliver what we promise!. Carthage homes have two types of air conditioners being used, Central heating and cooling and window units. Central heating and cooling is the standard to the area households. 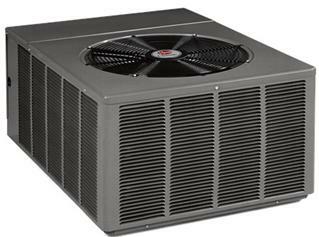 A central air unit is more expensive, but it is able to cool multiple rooms as compared to a window unit, which Heating Cooling Carthageis really meant for a much smaller area. Window units only modify the air in the room they’re installed. The central air system is a more expensive, but is a much more powerful system and can be designed to cool every room in the house. Heating: We’ve got years of experience to help you determine how to tackle all of your heating concerns. We work on everything that’s out there. So, rest assured that we have the knowledge to service even the toughest units.